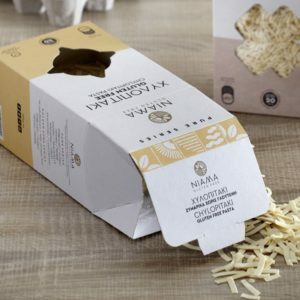 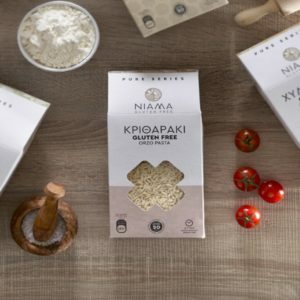 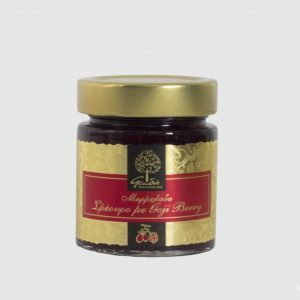 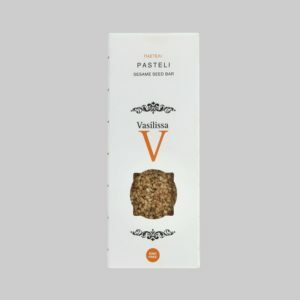 It is produced in Greece from high quality raw materials with its main ingredients chickpea and rice flour, under constant laboratory checks and analyses. 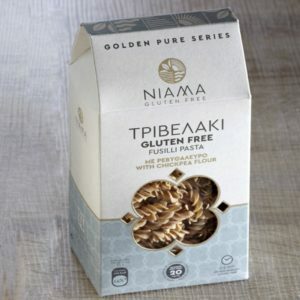 It is free from gluten, preservatives and GMO. 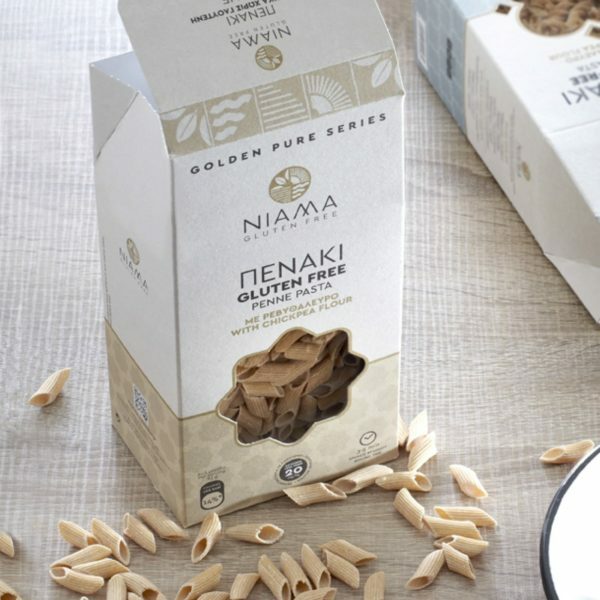 Ingredients: Corn starch, rice flour, potato starch, chickpea flour (12%), soy flour, tapioca starch, emulsifiers: mono- and diglycerides of fatty acids, thickening agent (guar gum, xanthan gum, citrus pectin, glycerin), maltodextrin, salt.